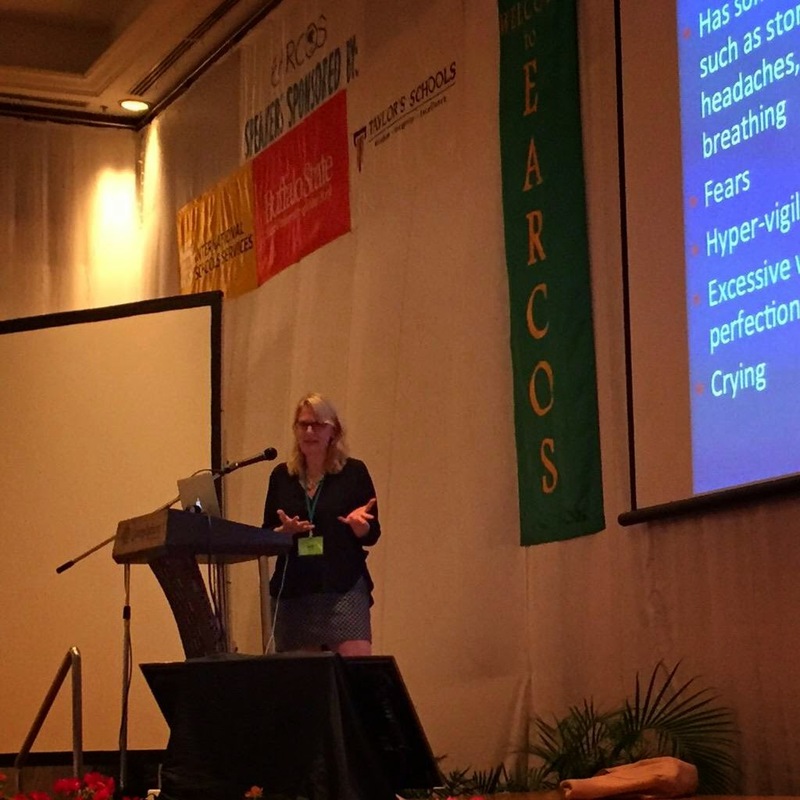 NESCA Director Dr. Ann Helmus spoke this week at the annual EARCOS Leadership Conference in Kota Kinabalu, a Malaysian city on the island of Borneo. EARCOS, the East Asia Regional Council of Schools, is an organization of 144 member schools. They enroll more than 100,000 pre-K to 12th grade students. One EARCOS objective is to develop collaborative educational partnerships within the region as well as worldwide, to foster greater access to expertise; another is to promote intercultural understanding, global citizenship and exceptional practice.